Although you may think of dandelions as common weeds to be eradicated, they are actually not only a tasty food source but also a nutritional powerhouse. The greens of the dandelion can be added to salads or wilted as a side dish like any other green, and the blossoms or leaves can be made into dandelion tea. This has a long history of use, particularly in Chinese medicine. 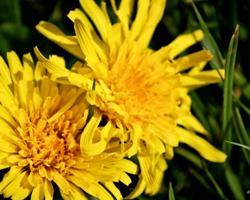 Herbalists have been using dandelion to treat appendicitis and digestive disorders for centuries. 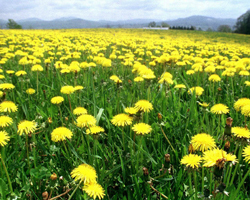 Native Americans used dandelions in a wide range of ways, including the prevention of heartburn, as a cure for cramps or PMS, and as a general energy tonic to help boost health. Herbal tea can be made from the flowers, leaves, or even the roots of dried dandelion plants. Although dandelion tea is not a common brew today, it still offers a versatile range of uses that can make it well worth your time to try. One of the many benefits that can be found in a cup of dandelion tea is the small boost of energy that it can offer to those that choose to drink it. This effect on energy may be due to the high concentration of vitamins and minerals in the dandelion plant. Dandelion tea is often used as a substitute for coffee for those who are trying to kick the caffeine habit but still need a little boost in the morning. By putting a teaspoon of dandelion root in a cup and adding boiling water, you can have the same effects as coffee without the jittery side effects. The tea is also available in prepackaged bags, which are handy when you don't have too much time in the morning. Another effect that dandelion tea has for many people is the ability to help them lose weight. Because it is a diuretic, helping flush excess water out of the system, dandelion can increase urine production and promote the removal of salts or other toxins from the system. This can lead to the shedding of water weight, and leave you feeling slim. This same diuretic function helps with detoxification programs, because it can be used to help cleanse the kidneys, liver, and colon. To achieve these effects, it's best to drink two or three cups of the tea per day while you are on a diet or trying to cleanse your system. As mentioned prior, dandelions are high in essential vitamins and minerals that can help supplement your body. In fact, dandelions have been said to rank fourth as one of the top greens in overall nutritional value. Drinking dandelion tea can provide you with vitamin A, fiber, potassium, phosphorus, calcium, magnesium, B-vitamins, thiamine, riboflavin, and more. 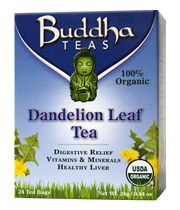 A cup of dandelion tea usually compliments well with a meal or even an afternoon snack. Many herbalists will even recommend drinking a cup or two of dandelion tea on a regular basis in order to experience some of the best benefits from this herbal brew. To prepare a cup of dandelion tea, simply take one dandelion tea bag and place it in a cup of boiled water. Cover and allow it to steep for a period of 5 to 8 minutes. Remove the tea bag and flavor as desired using honey, sugar, lemon, milk, or other sweeteners of choice. It is not recommended to drink dandelion tea if you are pregnant, nursing, or currently prescribed to any medications unless you have consulted with a doctor prior. Dandelion tea truly is a marvel among herbal teas. Despite it being an uncommon brew, it seems to be growing in popularity as more people become familiar with the many benefits that this tea has to offer. Whether you’re looking for a new tea to try, or whether you simply need that added supplemental boost of vitamins and minerals, dandelion tea is fitting for many occasions and can be enjoyed hot or chilled. Although it may be difficult to find this tea for sale in local health food stores, luckily there are quite a few tea merchants that offer this tea for sale online. When you are looking to purchase tea online, we highly recommend that you make certain that you are choosing a reliable merchant that you can trust. For this reason, we highly recommend Buddha Teas as a trustworthy, high quality tea vendor that can provide you all the organic herbal teas you need at the best available cost. 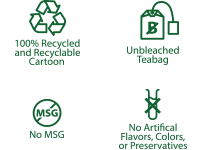 We also highly respect Buddha Teas for their eco-friendly packaging as well as their use of bleach free tea bags which will mean less toxins present in a good cup of tea. We sincerely hope that you have found this article helpful and able to answer any questions you may have regarding dandelion teas. However, if you have any additional questions you are always welcome to contact us for further information related to this tea. Many are unaware that dandelions are far more than just a weed--They are also used to make an excellent brew of tea filled with benefits!